What advice do you have for new Mines graduates? Be confident that you are prepared for the real world. The skills and personal characteristics that led to your success at Mines—team work, hard work, creativity, leadership, persistence and resilience—are the same ones that will set you apart and set you up for success in your professional and personal lives. You are a Mines alumna/alumnus—you can tackle anything! What does being a Mines alumnus mean to you and how are alumni an important part of the Mines community? Having a Mines degree says a lot about an individual, and it instantly commands respect. Being an alumnus also carries an obligation to give back in some way to ensure that Mines sustains its position as one of the world’s premier universities. 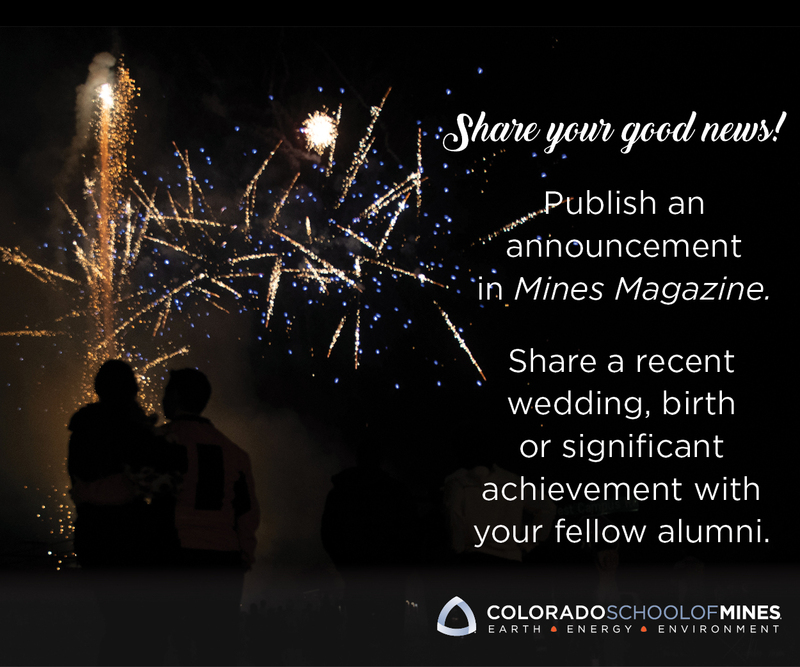 Our alumni are our secret weapon and are critical to the future success of Mines. They serve as ambassadors and recruiters for Mines, they generously support our amazing students and unique programs, and they are engaged as teachers, advisors and mentors for the next generation of Orediggers. The Mines Alumni Association works closely with us to connect alumni to our classrooms, student groups and strategic initiatives, like entrepreneurship and innovation, professional development, continuing education, mentoring and recruiting a more diverse population of students. What is your favorite part of a big alumni event, such as Homecoming? Spending time with alumni and hearing their stories. Most are hilarious, some are scary and hopefully the statute of limitations has run out on others. Recently I learned about fireworks shows from the past, dynamite in the clay pits and a few other interesting lost E-Days traditions. What I like most about the stories is that you can feel the pride the storytellers have in being an Oredigger and the love they have for Mines and their fellow alumni. That pride is so infectious and inspiring. It makes me realize what a special place Mines is and what an honor it is to be a part of the Mines community. I hope that we can create a video library of alumni stories, although we may have to blur the faces and change the voices on some of them.